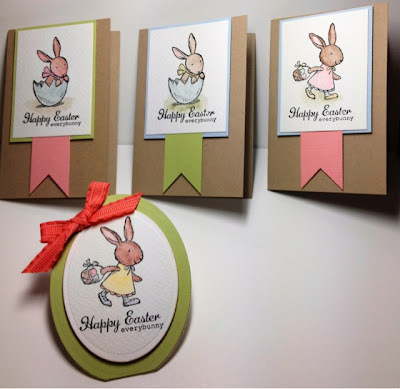 Lou's Stampin Corner: Happy Easter Everybunny!!! 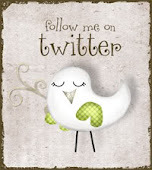 Good evening, are you all well? I do hope so. What weather we have had. Snow and more snow. I really would love love love to see some warmer weather now. 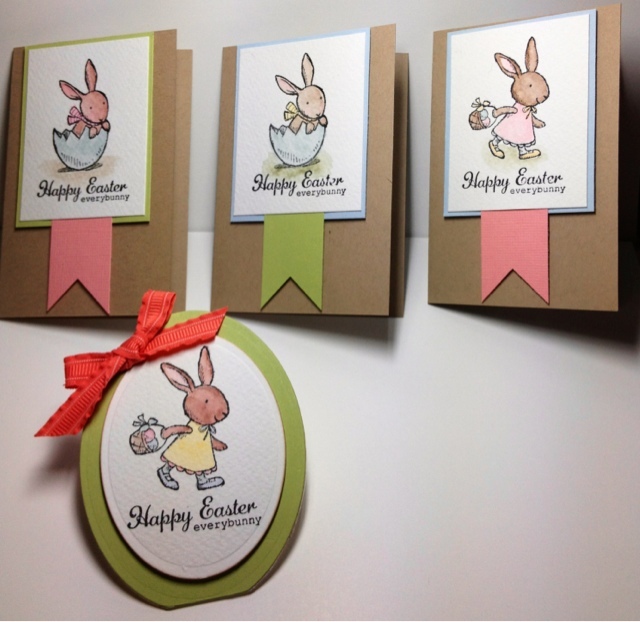 So it's nearly Easter, hooray!!! I love Easter as I'm sure I've mentioned before. Lol. We have friends coming over for Easter Sunday lunch so we are very much looking forward to that. We have had a quiet weekend, I cooked a roast lunch today and then we watched F1.